The 2008 Audi A3 hasn't been a raging success, so there are attractive lease deals out there, particularly on the front-drive, four-cylinder models. An optional S-line package adds bigger wheels and more sporting trim. We like Audi's iPod integration systems, but our recent experience shows it's not up to speed with the iPhone generation just yet. The 2008 Audi A3 is more than an upscale Volkswagen Rabbit, thanks to its fabulous interior, S-tronic transmission, and V-6 bark. The chief car enthusiasts at TheCarConnection.com had two missions with the Audi A3. First, editors read respected Web reviews, to bring you the consensus on the 2008 Audi A3 from around the Internet. Then, TheCarConnection.com's editors added own driving impressions--to help you decide which reviews are credible, to bring out details that other reviewers might have missed, and to give you the best advice where other reviews are in conflict. The 2008 Audi A3 is essentially the same car Audi introduced back in the 2006 model year. The smallest wagon in its lineup, the A3 Audi is derived from the Volkswagen Rabbit but sports tighter styling, a big Audi four-ringed grille up front, and a sleeker roofline. The A3 shares its whistling, powerful 200-horsepower 2.0-liter turbocharged direct-injection in-line-four engine with the A4 sedan. It drives the front wheels via either a six-speed manual transmission or S-line automatic, which uses two clutches to speed up gear changes without using an actual clutch pedal. It's a brilliant innovation that is becoming more widely available from other brands. A strong 3.2-liter, 250-hp V-6 is optional and offered with Audi's quattro all-wheel-drive system and the S-line gearbox; it'll accelerate to 60 mph in about 5.9 seconds. Seventeen-inch wheels and tires are standard, with 18-inch rims optional. With either front-wheel drive or optional all-wheel drive in V-6 versions, the Audi A3 is a competent machine on the road. The ride can be somewhat stiff, and the electric power steering doesn't wind into a corner like a traditional hydraulic power steering system would. But the A3 feels like a true Audi in most every sense: light, direct, and refined. Not really good-looking in a conventional sense, the Audi A3 is striking enough to make you do a wide-eyed double take if you saw one on the street. Inside you'll find the best interior that Audi currently makes, excluding the one found in the TT. It's dark and austere, as you expect from an Audi, but also ergonomically flawless and exquisitely made. The standard leather buckets lack the side support needed in such a car and can also cause backaches on longer journeys. Rear seat accommodation is acceptable for a car of this size, allowing you to squeeze a pair of adults in there--provided the front seat passengers don't mind scooting forward an inch or two. The trunk is very large. On the safety front, the Audi A3 is complete with stability control, as well as front-seat side-impact and head-curtain airbags. Options include Bluetooth, a navigation system, Sirius Satellite Radio, and an iPod integration kit. The 2008 Audi A3 will turn heads from the street, but its interior is a little stark. 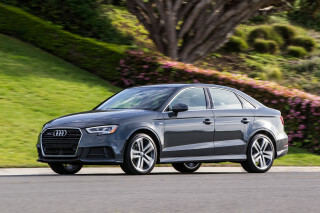 Reviews read by TheCarConnection.com seemed pleased with the 2008 Audi A3's familiar features molded into a hatchback body style. While Edmunds refers to “Americans' general dislike for hatchbacks and wagons,” several reviews noted that as a premium brand, Audi managed to make the A3 looks upscale and refined. MyRide.com notes its “well-balanced, pleasing dimensions.” Cars.com likes the "coupelike silhouette" created by the 2008 Audi A3. Kelley Blue Book agrees, noting that the A3 "has a purposeful, sporty look, emphasized by wheels and tires that fill the wheelwells." ForbesAuto notes that the 2008 Audi A3 "shares its platform and some mechanicals with Volkswagen cousins the Rabbit and Jetta. But it has a sleeker roofline and unique styling cues." Face to face, the familiar "single-frame tapered grille" is apparent on the A3 Audi and "dominates the front end," according to Cars.com. From the back, Kelley Blue Book feels the "sloping rear window adds to the aggressive appearance, but the trade-off is less interior cargo space." 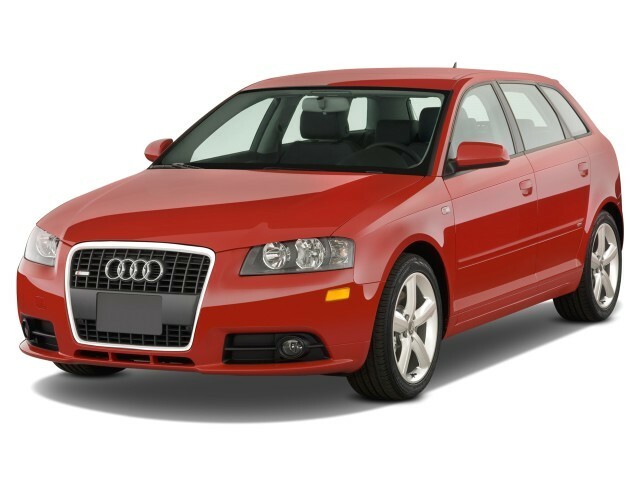 The 2008 Audi A3 is essentially the same car Audi introduced back in the 2006 model year, TheCarConnection.com recalls. The smallest wagon in its lineup, the A3 Audi is derived from the Volkswagen Rabbit but sports tighter styling, a big Audi four-ringed grille up front, and a sleeker roofline. Not really good looking in a conventional sense, the 2008 Audi A3 is striking enough to make you do a wide-eyed double take if you saw one on the street. Inside you'll find the best interior that Audi currently makes, excluding the one found in the TT. It's dark and austere, as you expect from an Audi, but also ergonomically flawless and exquisitely made. The 2008 Audi A3 is a joy to drive, plain and simple. Whether on a winding road or in the straightaway, the performance of the 2008 Audi A3 had reviewers grinning from ear to ear. According to ForbesAuto, the source of all these smiles is the Audi A3 2008's "200-hp 2.0-liter turbocharged four-cylinder engine." Cars.com informs drivers that this speedy engine delivers "5,100 rpm and 207 pounds-feet of torque at 1,800 rpm." A 3.2-liter V-6 engine upgrade is also available, which Kelley Blue Book feels "delivers even more punch, combining the sure-grip traction of quattro all-wheel drive with the marvelous DSG transmission." 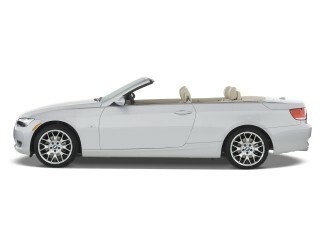 ForbesAuto also recommends the upgrade, stating the 3.2-liter engine is "smoother" and "generates 250 horsepower." Both A3 Audi engines provide adequate performance for Edmunds, who enthusiastically explains, "whether you choose the 2.0T or 3.2 Quattro, brisk performance is at hand for passing and merging maneuvers." Cars.com agrees that the 2008 Audi A3 "yields good maneuverability," but feels "steering is on the light side." 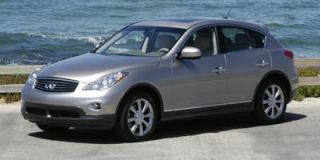 Acceleration and braking also received high marks in reviews read by TheCarConnection.com. Kelley Blue Book found that "the Direct Shift Gearbox (DSG) facilitates lightning-fast gear changes." ConsumerGuide is thrilled that "rapid takeoffs induce minor torque-steer" and says, "braking is strong." Forbes Auto mentions that Audi A3's gas mileage is "lower than most small cars muster," but concedes that "what the car lacks in overall fuel economy it makes up for in speed." TheCarConnection.com adds that Audi credits the optional V-6’s 0-60 mph acceleration time of 5.9 seconds with its speedy feel. The dual-clutch transmission is an editors' favorite. And though the 2008 Audi A3’s ride can be somewhat stiff, and the electric power steering doesn't wind into a corner like a traditional hydraulic power steering system would, the A3 feels like a true Audi in most every sense: light, direct, and refined. The Audi reputation is represented well here, with the 2008 Audi A3 offering plenty of refinement. Reviews read by TheCarConnection.com enjoyed the luxury touches and exceptional comfort of the Audi 2008 A3. According to Car and Driver, the 2008 Audi A3 "benefits from incredible build quality." Kelley Blue Book agrees, calling the interior "decidedly upscale" with "aluminum-surrounded round front air vents" being "among several touches that echo the stylish Audi TT." Edmunds touts the easy-to-use comfort, with "straightforward buttons and controls" and an "excellent steering wheel" that "fits the driver's hands perfectly" among the most notable features. ConsumerGuide claims front seats are "all-day comfortable" and "headroom and legroom are plentiful." Cars.com adds that the "excellent seats deliver good support and their bottoms are fairly long," but points out that "some drivers might find their right knee resting against the center console." In the backseat, ForbesAuto warns that "larger occupants could feel cramped." In regard to the A3 Audi seats themselves, ConsumerGuide mentions that "the cushion is nicely padded but not long enough for good thigh support." Noise was not a major concern for those reviewing the 2008 Audi A3. ConsumerGuide did notice "some coarse-surface tire thrum on base models," but "wind rush is low at highway speeds," and "both engines sound classy while accelerating." The interior makes good use of space, with Car and Driver calling the A3 Audi "roomy." Still, Kelley Blue Book reminds drivers it is a hatchback, meaning "some folks might be disappointed by the size of the rear cargo area." In extensive drives of the A3 Audi in Europe and the United States, TheCarConnection.com’s editors felt its standard leather buckets lack the side support needed in such a car and can also cause backaches on longer journeys. Rear seat accommodation is acceptable for a car of this size, allowing you to squeeze a pair of adults in there--provided the front seat passengers don't mind scooting forward an inch or two. The trunk is very large. The 2008 Audi A3 nudges out the competition thanks to a host of standard safety features. Audi's trademark attention to safety is evident in the 2008 Audi A3, and reviews read by TheCarConnection.com applaud the German carmaker's efforts. The Insurance Institute for Highway Safety calls the 2008 Audi A3 a Top Safety Pick, basing this prestigious title on the A3 Audi's "good performance in front, side, and rear tests and standard electronic stability control." According to the IIHS, the 2008 Audi A3 crash tests edge out the Volkswagen Jetta, which received a grade of Marginal in rear crash tests and Good in front and side tests. 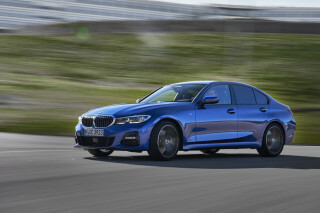 The more expensive BMW 3-Series also fell short, garnering an Average score in rear crash tests and Good in front and side tests. Reviewers' eyes grew wide over the long list of standard safety features available on the 2008 A3 Audi. Kelley Blue Book relays the highlights: "electronic stability program (ESP), front seats with active head restraints, remote keyless locking, front and side airbags for driver and front passenger and the Sideguard airbag system." ConsumerGuide also lists anti-lock brakes, traction control, and an antiskid system as standard safety gear on the Audi A3; 2008 brings the option of side airbags, according to Edmunds. Audi rolls out the red carpet for customization with a variety of standard and optional packages available on the 2008 Audi A3. TheCarConnection.com found reviewers approved of the wide range of standard and optional features in the 2008 Audi A3. Inside, Cars.com likes the A3 Audi’s standard "dual-zone automatic climate control" and "'OpenSky' glass sunroof" that "includes separate blinds to keep the interior from overheating and to guard against the sun's glare." Kelley Blue Book also calls the 140-watt stereo with 10 speakers and pre-wired satellite radio preparation for Sirius Satellite Radio "notable standard equipment." There's plenty to admire from the outside too. Cars.com lists "dual-exhaust outlets" and "alloy wheels" with "17-inch tires" as attractive standard features. In regards to stand-alone upgrades, ForbesAuto claims "a navigation system heads up a fairly short options list." Kelley Blue Book lists other singular additions, such as "SIRIUS Satellite Radio, 18-inch alloy wheels," and "Bose audio." The S-line package is a popular 2008 Audi A3 options package with reviewers. Edmunds lists included package features as including "sport-tuned suspension, foglamps, sport seats with leather upholstery, aluminum interior trim, unique front and rear fascias and a roof spoiler." The Premium Package is another popular package. According the ConsumerGuide, the A3 Audi package includes "leather upholstery, power driver seat w/power lumbar adjustment, sport leather-wrapped steering wheel w/radio controls, steering wheel shift paddles (automatic), aluminum exterior trim, additional interior lights, illuminated visor mirrors, fog lights, (and) unique alloy wheels." Options include Bluetooth, a navigation system, Sirius Satellite Radio, and an iPod integration kit.